CAPE TOWN, SOUTH AFRICA – The Grand Finale of the Golden Trail Series is bringing the world’s top 10 men and women marathon distance trail runners to South Africa to compete for the Series crown at the Otter Trail Run on 20 October. Trail running superstar and series leader Kilian Jornet (Team Salomon) will toe the start line against an incredibly talented field on the men’s side, while season points leader Ruth Croft (Team Scott) headlines the star-studded women’s lineup. Watch a video preview here. The top-10 men and top-10 women who qualified via the inaugural Golden Trail Series represent 11 different nations, including France, Great Britain, Italy, New Zealand, Norway, Poland, Spain, Sweden, Switzerland, the U.S.A. and the host country of South Africa, represented by Team Salomon athlete—and last year’s Otter Trail winner—Meg Mackenzie. Christiaan Greyling, also from South Africa, won the men’s race last year. This year has seen the successful rollout of the inaugural Golden Trail Series, a collection of the five most iconic “short-distance” trail races on the planet, ending at the Otter Trail. The Golden Trail Series (GTS) was created to promote professional trail runners as the world-class athletes that they are, to acknowledge the passionate fans as an essential ingredient in the sport, and to showcase and protect the awe-inspiring nature and environments where the trail running’s most legendary races occur. 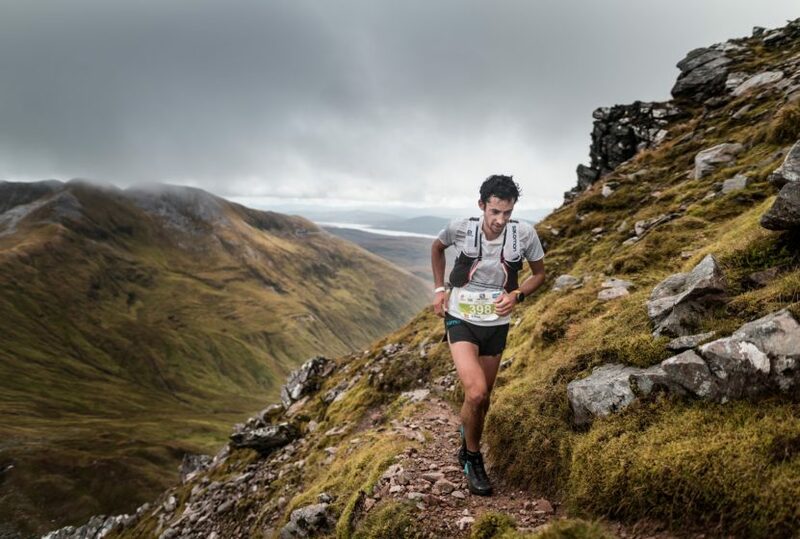 In 2018, the Golden Trail Series touched down at the Zegama Mountain Marathon in Spain’s Basque Country, the Marathon du Mont Blanc in Chamonix, Sierre-Zinal in Switzerland, Pikes Peak in Colorado and the Ring of Steall in the Scottish Highlands. Now, the final test comes on the shores of South Africa, where a €100,000 (R1 478 305) prize pool will be shared equally among the overall top 10 men and women. The competition figures to be off the charts at the Otter Trail Run, one of South Africa’s legendary trail races. It boasts a 42km undulating, coastal route challenging even the most capable athletes. Typically, a recreational five-day hike, the pristine trail is exclusively booked for Otter entrants once a year over the Otter Trail Run. This year the typical Otter route is run in reverse, from Nature’s Valley to Storm’s River, in what is referred to as the Retto. As he has been for more than decade now, Jornet was the man to beat all season since returning from a broken leg suffered last winter. He’s won every race he’s entered in the Golden Trail Series—at Chamonix in his first race back, then at Sierre-Zinal and the Ring of Steall. At the Otter Trail, the competition figures to be stiff. Norwegian runner Stian Angermund-Vik (Team Salomon) and Swiss runner Marc Lauenstein (Team Salomon) are two of many looking to challenge the Catalan. The Swiss dentist returns to Otter, where he has won twice and is the course record holder in both directions. In the women’s series, Croft has been a consistent performer from the outset, notching a win in Chamonix along the way. Expect that she will battle Sweden’s Ida Nilsson (Team Salomon), Megan Kimmel (Team Salomon) and others, as she has done all season long. Mackenzie has the local knowledge to compete as well. 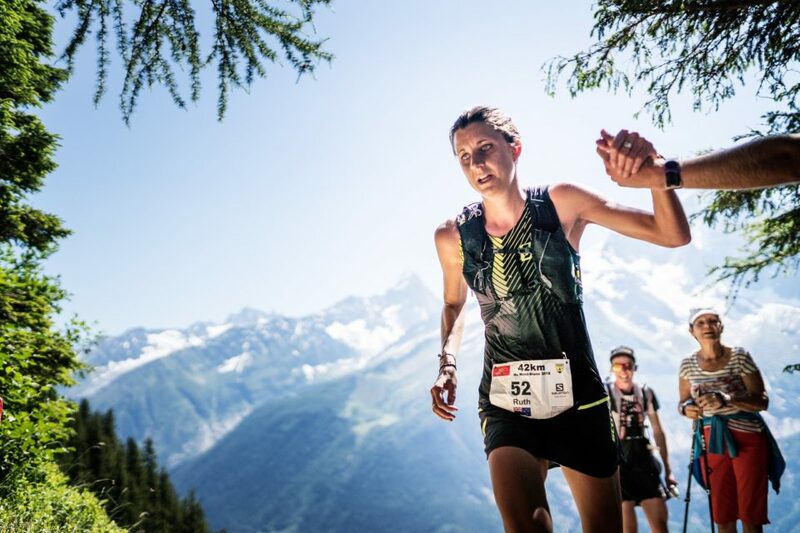 Unfortunately, Laura Orgue, a Team Salomon’s runner from Spain who finished third in total points over the first five races, will not be able to compete in the Otter Trail after breaking her clavicle in a cycling accident this week. She will be replaced by France’s Céline Lafaye, who finished 11th in the series standings, just three points from the 10th spot. Leading up to the Retto and as part of the prize for finishing in the top 10, all 20 men and women, along with a guest, will embark on a bucket list journey through South Africa. Their trip will include guided trail runs on Table Mountain along the Ultra Trail Cape Town route and road tripping the Garden Route to exploring Robberg Peninsular, racing the Retto, dancing the night away at an exclusive after party, experiencing South African braais and learning how to surf post-race. The collection of international athletes will be left with a taste of South Africa that may leave them clamoring to return. As part of the tour, all top 10 men and women will appear at a press conference on Wednesday, 17 October at the Stranger’s Club in Seapoint. In addition to racing for glory and a trophy, each athlete is also racing for a charity of their choice. The top-5 men and women finishers at the Otter Trail race will win 1000€ each to be paid directly to a charitable cause of their choice. A charity fund has been created at GoFundMe.com, where fans can donate to the charities of the athletes. New Zealand’s Ruth Croft (Team Scott), Sweden’s Ida Nilsson (Team Salomon), Spain’s Laura Orgue* (Team Salomon), USA’s Megan Kimmel (Team Salomon), Spain’s Eli Gordon (Team Salomon), Great Britain’s Holly Page (Team Salomon), Spain’s Sheila Aviles Castano (Team Buff), Italy’s Silvia Rampazzo (Team Tornado), Sweden’s Fanny Borgstrom (Team Salomon), South Africa’s Meg Mackenzie (Team Salomon) and France’s Céline Lafaye (Team Merrell). *Laura Orgue qualified in third place, but will not be racing in the Grand Finale due to injury. France’s Céline Lafaye (Team Merrell) will take her place. This year marks a decade since SANParks gave the event the green light and hosted the very first Otter African Trail Run. Each year The Otter African Trail Run takes place in an alternating direction. It’s the same route, but with different climbs to conquer and all new spectacular views to look forward to. In 2018 the event will be run from West to East, starting at Nature’s Valley and finishing at Storm’s River Mouth Rest Camp. A capped number of participants have the privilege of trail running on Africa’s more revered hiking trail which traces the shoreline of the Tsitsikamma National Park from one end of the park to the other. This five-day trail is normally preserved for hikers and is off limits to trail running outside of this event. The Otter boasts varying terrain and endless obstacles that challenges even the most capable trail runner. There are 11 significant climbs and descents, 2600 meters of elevation gain including +-7000 steps (ascending on the RETTO) and four river crossings, including the infamous Bloukrans River, which involves a swim.